I’ve been reading an interesting article on a case of psychiatric misdiagnosis of N24 in a 14-year old. This poor kid was given a long list of severe and pejorative psychiatric diagnoses, all of which resolved completely when his circadian rhythms were normalized with melatonin treatment. He had dropped out of school for two years and was sent to a child psychiatric hospital. After treatment was able to return to school and do well. This case shows how easily N24 (and DSPS) can be misdiagnosed. The boy was also lucky he responded to melatonin as many N24s do not. school and was sent to an inpatient child psychiatry center. sleepy and passive, especially in the mornings. The patient was diagnosed using actigraphy (a wrist monitor that measures movement) and with 24 hour sampling of melatonin and temperature rhythms. This is his actigraphy chart showing the classic N24 pattern in which the waking period shifts later each day. The black peaks on the chart show movement, indicating the time of day or night during which he was awake. Treatment with 5mg of melatonin (a large dose) at 8pm resulted in a normalization of his circadian rhythms within a month. the patients relationship with his family and peers. One wonders how many adolescents — and adults — are misdiagnosed with various severe psychiatric disorders simply because no one looked for a circadian rhythm sleep disorder. The case was reported by Yaron Dagan and Liat Ayalon two of the best researchers on the clinical manifestations of N24 . 1. Dagan Y, Ayalon L. Case study: psychiatric misdiagnosis of non-24-hours sleep-wake schedule disorder resolved by melatonin. J Am Acad Child Adolesc Psychiatry. 2005 Dec;44(12):1271-5. There are two forms of chronotherapy in use as treatments for DSPS. Since it is difficult or impossible to move sleep time to earlier in the night, an attempt can be made to sleep later than usual, by the one or the other system, until sleep and wake times are as desired. 1. The traditional method has been to stay up two or three hours later each night until one has gone ’round the clock. One might on subsequent days go to sleep at 6 a.m., 9 a.m., noon, 3 p.m., 6 p.m. and 9 p.m. It would then be wise to establish a bedtime of 9 p.m. for some days before easing toward the desired bedtime of 10 or 11 p.m. This requires a week or more of strict self-discipline and a cooperative family. Maintaining the new bedtime requires very rigid discipline, and most people find that the effects may last from a few days to a couple of months at best, before the natural late night sleep time reasserts itself. There are people who routinely prepare for a daytime seminar or a holiday trip to the in-laws in this way. IMPORTANT UPDATE: See also post no. 55 about chronotherapy. 2. An article from Sleep Review, 2003, tells of a lesser known form. There we learn of a 16-year-old boy who had had DSPS for years. He slept nicely from 3 a.m. to noon but his mother had trouble getting him up for school and he dozed during breakfast, on the ride to school and during morning classes. The boy’s history and sleep log showed classic DSPS. He was active, not shy and not depressed. A modified chronotherapy was devised by M. J. Thorpy et al in 1988, apparently specifically for adolescents. It is called controlled sleep deprivation with phase advance, SDPA, and it is designed to be less disruptive to families and the school or work schedule while still taking advantage of the fact that most people find it easier to stay up late than to fall asleep early. SDPA, step one: the patient sleeps regularly for a week on his natural schedule, in order to start treatment rested. Step two: a night of total sleep deprivation followed by advancing bedtime by 90 minutes. Step three: the new bedtime is observed for six days to consolidate the pattern. Step four: the process of one night of total sleep deprivation followed by advancing the bedtime by 90 minutes is repeated. The process is continued every week until a target bedtime and wake-up time are attained. Step five calls for maintaining the regular bedtime and rise-time once reached, to prevent relapse of DSPS. “Our patient responded to a trial of SDPA, though success required three attempts. Social events and failing to refrain from naps during the day interfered with the first trial. During the next attempt, he developed some performance anxiety around falling asleep even after being sleep deprived. He would lie in bed and worry about not being able to fall asleep. In this circumstance, we felt justified in adding a short course of zolpidem at bedtime for 1 week in combination with SDPA, and he successfully reset his schedule to a 10:30 pm bedtime and 7:00 am rise-time. The family enlisted help from his friends to reschedule their social activities, and this helped the therapy plan move ahead as well. This was an interesting approach. It mirrors somewhat my own tactic which I call my 36-hour trick. At times, almost once a week, I feel a need for a long sleep, 11-12 hours. This can only be attained by staying up one whole night and going to bed very early the next night. It does not, however, get me to bed earlier the following nights. It just allows me to feel rested and healthy for a few days. I have my doubts that the “new” chronotherapy (no. 2) would last any longer than the old, without the aid of melatonin and a light box. Next: xxxiii. Owls of the World, Unite! When does Delayed Sleep-Phase Syndrome start? Does it get “better” / “worse”? I don’t think definitive answers are to be found. I’ll offer here my impressions, based on reading and contact with other sufferers. Adolescent DSPS seems to be a special case. The hormone surge at puberty gives some people all the symptoms of DSPS, even though they didn’t have it before and won’t have it after adolescence. There are activist groups in the USA working for later starting times for high school classes because of this, and they have no trouble finding expert support for their struggles. I’ve even read that teenagers with this problem most often return to their original diurnal preference: cheerful early riser or grumpy late riser. More systematic study would be in order here. DSPS does not start later than in adolescence except in very unusual cases. Certain brain injuries, tumors or cysts can cause it. I’ve read of one case where acquired hydrocephalus created pressure which caused DSPS. Onset after about age 20 requires a search for a physical cause, if the tumor or injury hasn’t manifested itself already. In retrospect, the parents of many DSPS sufferers remember that there “always” was something strange about their sleeping patterns. And what infant doesn’t have strange sleeping patterns? Parental memories are colored by knowledge of how their children “turned out”, so any remotely scientific study of those memories sounds to be out of the question. 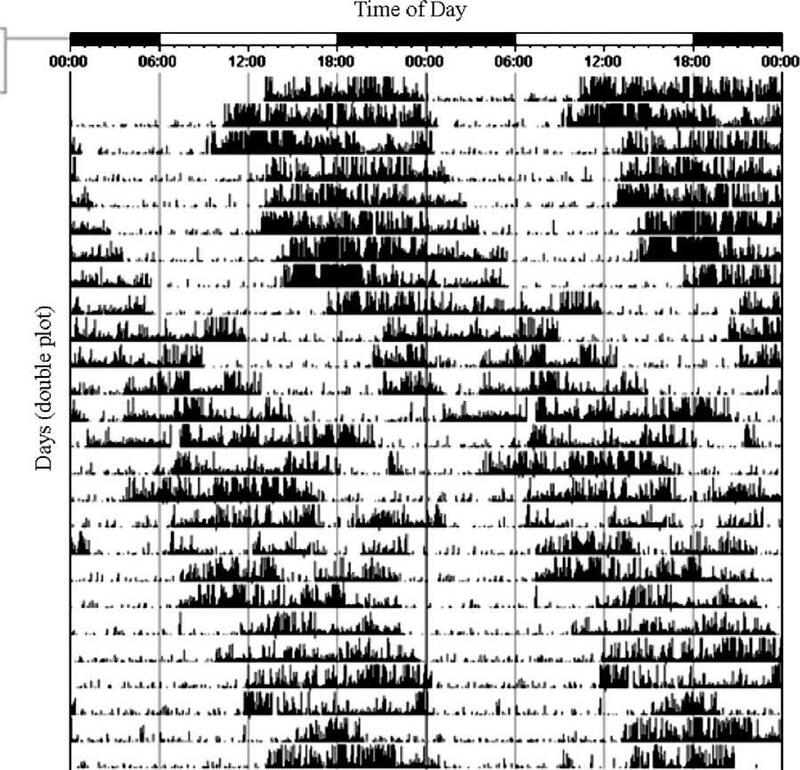 Perhaps it might be possible to search the journals of early childhood clinic visits for mention of sleep problems and compare with later diagnoses of sleep disorders. A newborn has no circadian rhythm. It is first established at the age of about 4 months. Usually DSPS appears in early childhood. My intuition would say that it always does, but I’ve discussed this with reliable people who are quite sure that they slept normally pre-puberty. In sum, the disorder starts in early adolescence or earlier. An adolescent variety may end as adulthood begins. DSPS which hasn’t gone away by one’s mid-20s, is not going to go away. Its nature is not going to change through the years. Its effects on the sufferer will vary according to work schedule, other societal demands, coping strategies and diagnosis/treatment.